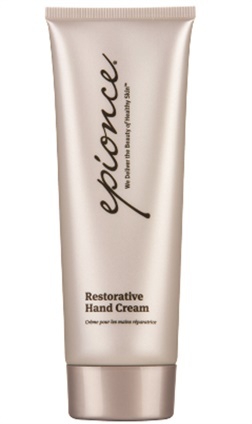 formula that rapidly rehydrates hands, and helps reverse the signs of aging skin. Made from raspberry seed oil, as well as meadowfoam, date fruit, apple fruit, and safflower extracts, this paraben- and fragrance-free cream works for all skin types. For more information, visit Epionce Products.